These transformers will work in about any 1920s radio. They are an inexpensive fix for most radios from the 1920s and can be used in other applications. 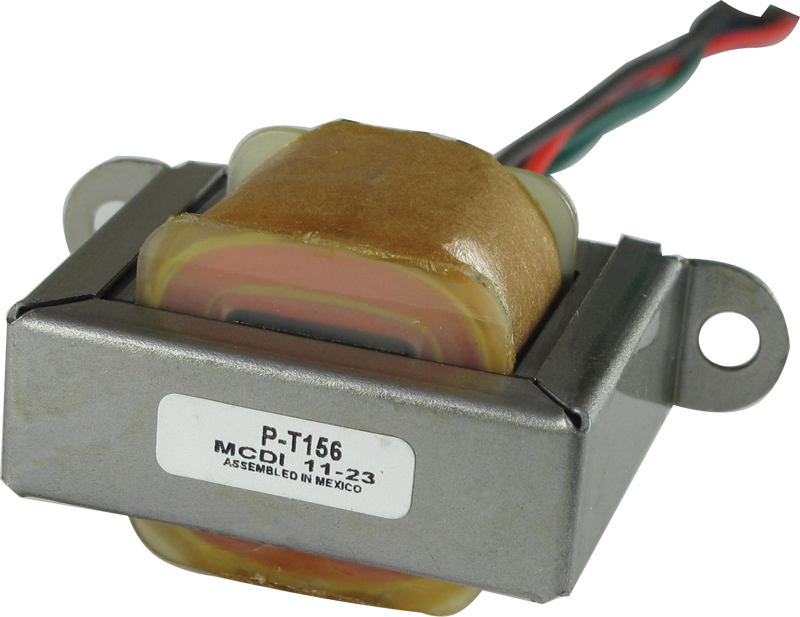 They used to offer this transformer without the iron, just the coil by its self which could be used to replace the open coil in some radio transformers. That way you were able to keep the old transformer and have a new coil in it. I wish they still offered those. The only drawback on these is that they do not have as much bass to them as many of the original transformers had. I forgot to say that on the Atwater Kent model 20 radio the original transformers are in round metal cans. There is tar holding the old transformers in the can. I use a heat gun that is used to remove paint from walls to heat the cans and get the old transformers out. I had to clean and paint the cans black. I used five cotton balls in the top of the cans to hold the new transformers in place. I used two of these transformers in an Atwater Kent model 20 TRF receiver. The transformers fit inside the two metal cans that the original transformers were in. When looking in the radio you can't tell it has new transformers. If you take the radio out of the cabinet you can see the new wires, but that is okay. The radio now works. Perfect for restoration of Atwater Kent Breadboard radios 10 etc. Fits inside 3-tube unit TA and works perfectly. I bought a Freed-Eisemann broadcast Radio, NR6, from and estate. The two audio transformers were open. I bought two P-T156 transformers from antique electronic supply. There were $16.95 each. The new transformers were mounted under the chassis of the radio and can’t be seen from the top. The primary on the new transformers are the red and blue wires which are connected to the plate of each of the audio tubes. On January 13, 2019 the radio worked for the first time in years. I used an Arbe-III battery eliminator to power it. I don’t have a matching speaker so I used a modern one. I used an audio transformer that I took out of a small radio to go between the radio and the speaker. The transformer is for a 50C5 tube. The two transformers work fine in this application. Exactly as described in an application where physical size was critical. Electrically similar to a Stancor A-53C and the Hammond equivalent, but smaller. These units work great to replace most audio transformers in the 20's battery sets. They are small enough to many times fit inside the original clamshell housings so the end result looks original. Out of the dozen or so I have bought I only had one that was defective. (shorts in the secondary winding) Test them immediately after getting them so you can send it back if it is shorted. It worked great as a replacement audio inter-stage transformer for my RCA Superette R-7 that uses a push-pull circuit. The original transformer was potted in tar in a can on top of the chassis. I left the old one in place and mounted this nearby on the outside of the chassis. I'm very happy with it. Asked by Anonymous on April 20th, 2016. The AC reactance (XL) is typically 5-6 times the DC resistance (R). Therefore the total AC impedance will be Z= [R^2+XL^2]^0.5 so it should work fine. We do not offer technical support or service here at AES and as such we could offer advice in terms of working on your unit. Asked by Anonymous on January 13th, 2016. Asked by Anonymous on March 28th, 2016. Asked by Anonymous on December 6th, 2016. Asked by Anonymous on January 21st, 2018. Asked by Anonymous on August 3rd, 2018. Simply put we do not offer technical services. Asked by Anonymous on December 31st, 2018. We do not have sufficient cross reference materials to verify this will work for your application. We advise you consult a tech to confirm or deny this will work for your intended purpose.